Not long after my first half marathon in October, I was outside feeding our chickens and cleaning their coop one early evening when my friend of nearly twenty years, Steve, called and mentioned an obstacle race about which he had recently heard and which, coincidentally, would be held in our hometown at a huge lake resort near the old horse properties and wineries. 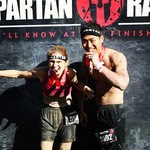 Pumped from my half and eager for my next goal, I was immediately enthusiastic and, still knowing very little about the race, agreed that we should sign up for the Spartan and make a new memory together in our narrative. We had been Academic Decathlon co-Captains, Mock Trial teammates, and enduring friends for so long, and now here we both were at a place in our separate journeys where we had made lifestyle overhauls and lost over 50+ pounds each. Steve had been running again, and the timing was right to enjoy this experience together. So we registered. We were by turns excited and scared and both at the same time. Steve and I are very much alike, though, in the belief that if something like this scares us, then we HAVE to do it. We have to see what we’re made of. We have to push. We have to get near our limit, and then figure out how to go beyond that point. Life is all about overcoming pain and fear and finding that triumphant human spirit and vitality deep within. Gauntlet accepted. 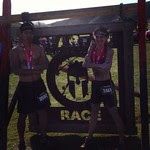 The Spartan isn’t messing around. 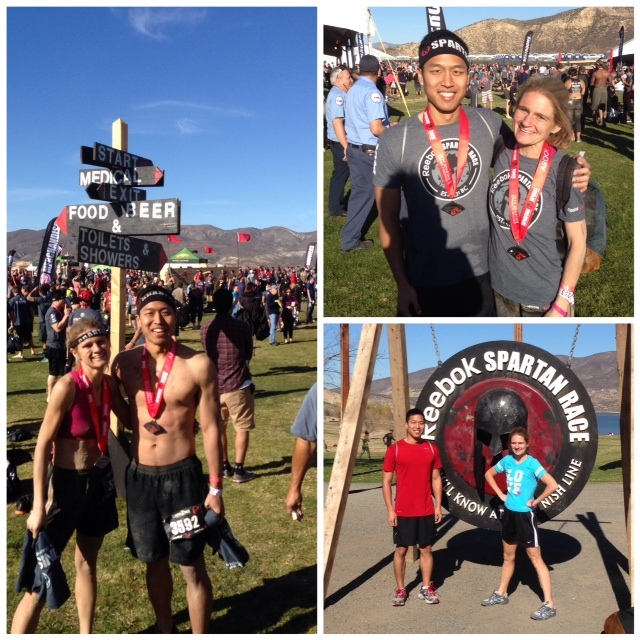 For a variety of reasons, we opted for the Spartan Sprint, a 3+ mile run with 15+ obstacles. Our run today was actually between four and five miles, when all was said and done. 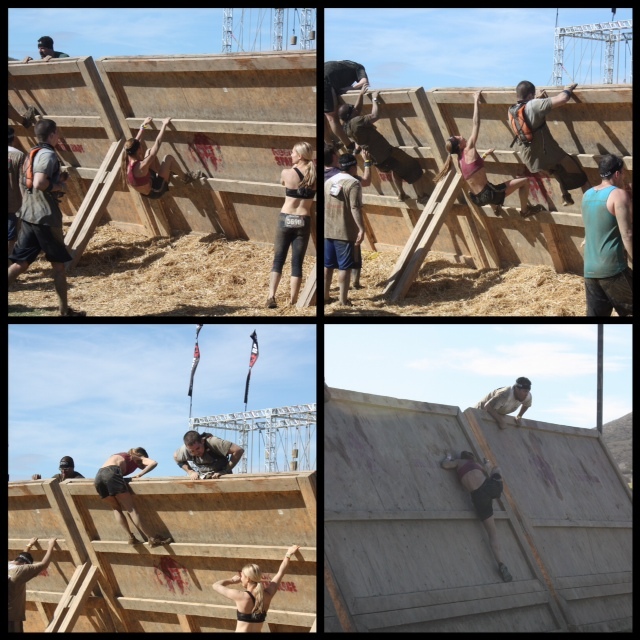 Obstacles included: waist deep icy and muddy water pits, muddy hills to climb, monkey bars, tire flips, demon bags (bags with 50 lbs of rocks in them that you have to carry up and down hills), several walls to scale (up to 8 ft), Hercules lift, rope climb, hauling concrete rocks on chains up and down hills, fire barriers, gladiators, barbed wire, swimming, traverse walls, and more. 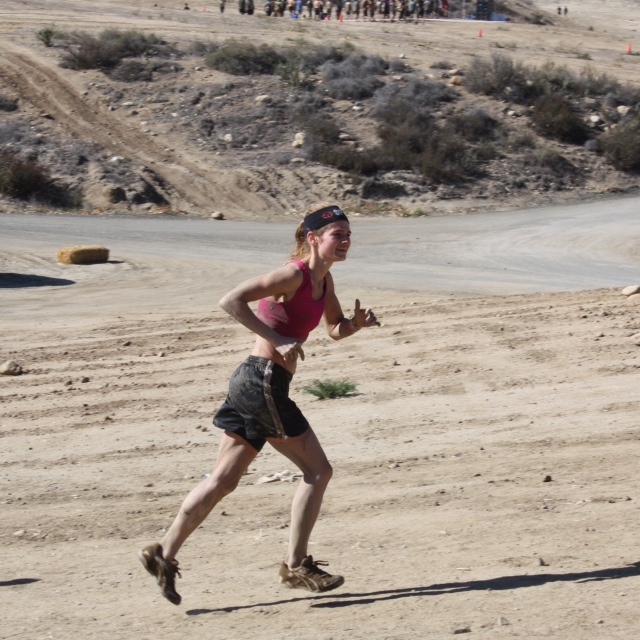 We ran in sand and all on trails. We ran up incredibly steep inclines. This race was intense. And exhausting. And thrilling. As I sit tonight feeling my battle wounds (both Steve and I got quite scraped and banged up), I love the twinge in each one. Each scrape is a memory, of pain and of overcoming. Steve and I marveled at what a truly crazy way this is to spend most of the weekend, putting ourselves voluntarily through rigor and pain and some insane physical demands; yet this is a way to get to know ourselves, a way toward self-knowledge. I want to push myself as far as I can and leave it all on Earth before I go. I experienced the whole range of emotions today in a short period (elation, defeat, frustration, triumph, joy, anger, optimism, and more), which made this event a microcosmic study of my three dimensional character. The wall that scraped my abs? The burpees that followed? Absolutely painful by that point. But I got through it. On the other side of pain is victory, if we can just hold out long enough. Today was an opportunity to cultivate willpower and determination, to practice those mental skills for times in life when we really need them. And today was also a chance to nourish the mind-body connection, a Renaissance ideal that I strongly value. 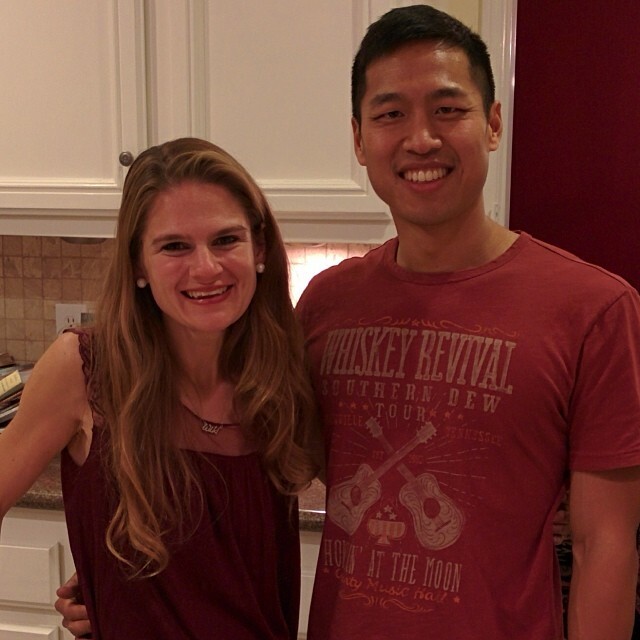 The other aspect of racing that I wholeheartedly love is the culture of runners. Hanging out in the racer’s village afterwards and chatting with others, or having a conversation with another runner as we conquered a massive hill—I adore that. To be surrounded by hundreds of people who set goals and then work to slaughter those goals is to be in the middle of this really potent energy that celebrates how truly glorious and productive and driven the human spirit can be. There is this excitement we feel for complete strangers who accomplish something difficult. So many people were cheering for each other today, without even knowing each other’s names, because we share a passion and way of life in common. We are living for the fire inside. Steve came over yesterday to visit for the afternoon, have dinner, and spend the night. Our couch from Aunt Debbie turns into a bed, so it was perfect! We fueled on roasted chicken, mashed potatoes, salad, roasted veggies, and angel food cake with fresh berries and a drizzle of 60% cacao. Having Steve here was incredibly special, and having him at our dinner table meant, also, that he got to contribute to our gratitude journal (the kiddos and I keep a gratitude journal and we write in it nightly at dinner). What fun to have a friend sleep over! Here we are, ready to go this morning. Race organizers suggested being there about two hours early, and that was just about right. Barbed wire (one of my favorites, the secret is to just roll underneath it). Determination. My dad said later that he saw something in my eyes that was actually like determination, but something beyond it that he couldn’t describe. I told him that I knew what he was talking about, and that I have had many runs to figure out what that is in me: it is the look that comes into my eyes when I am absolutely alive, and my mind is saying that there is nothing greater than to live, to live, to LIVE. It is the fire I often talk about: that part that I will never allow to be put out, not by fear or by pain or by my own weakness, ever again. Steve and Sarah…Who would ever have thought we’d do THIS? Up and over! I am definitely at the point in my life that finds me hungry to test myself, to see exactly all that I am made of mentally and physically. My favorite chant I heard someone using during the demon bags today: “We don’t stop/We don’t rest/’Til the good get better/And the better get best.” Story of my life right now. For tomorrow I planned a Mommy-kiddo date to see a live musical, and we might log some park time as well. I figured a couple of weeks ago that I would be taking today mainly for my own self-growth, and that I wanted to give them all of my attention and self tomorrow to try to balance the weekend out a bit for them. I sure did miss them today, but watching their reactions when I showed them my cuts and pictures of what we did was so worth it. I want my children to know that in life we should set these wild, ambitious goals…and then fight to conquer them and to become true masters over ourselves and our impulses. I want them to WANT challenge and achievement. I want them to pursue their education and health with everything they have inside of them and to want to develop themselves as far as they can throughout their whole lives. I want them to understand that life has phases and to live fully in whatever phase they happen to be in.